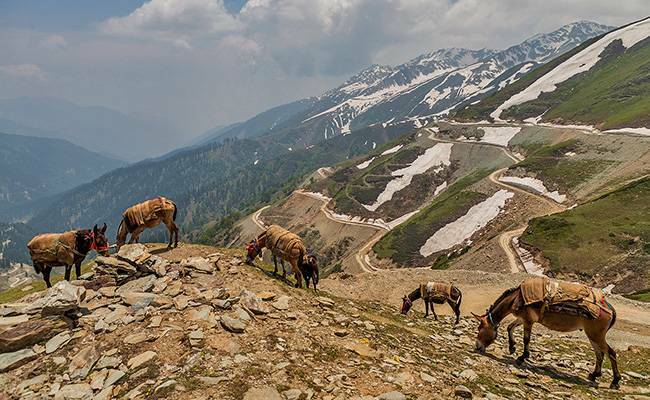 Jammu & Kashmir, the Paradise of the Earth said the Mughal Emperor Jahangir; no one can deny that this place is blessed with surreal blissful beauty. It is the Northern most state of India, sharing borders with China, Tibet and Pakistan, is also known for the most scenic states of India. 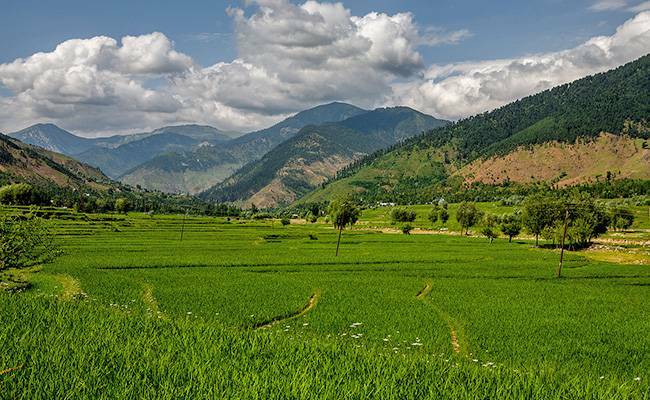 Kokernag, which probably means “Hen shaped springs”, is at an approximate distance of 80 km from the city of Srinagar and 25 km from Anantnag. It is situated at a height of about 7,000 feet above the mean sea level. 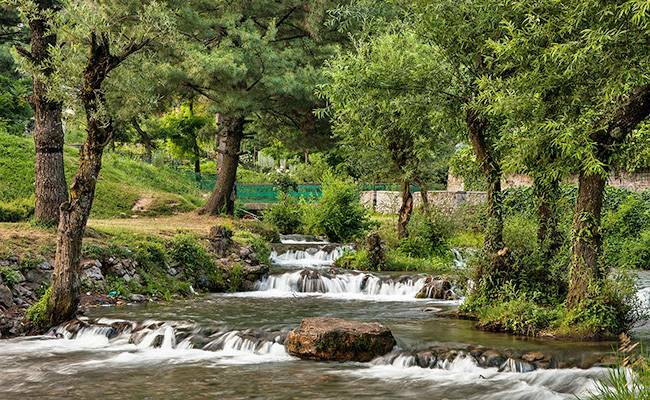 Kokernag is the place where there a collection of fresh water springs and collectively form the largest fresh water spring of Kashmir. Trout fishing is a popular activity here. Tourism department even sells these fishes to the tourists. Situated in Anantnag district, which is one of the oldest urban developments of the state and also the main trading center of Jammu and Kashmir. Namdah, handicrafts, Gabbah carpet and shawl weaving are some of the arts Anantnag is famous for. There are numerous religious places which will attract attention of the tourists. Some of them are Hazrat Baba Reshi, Shilagram Temple, Goswami Gund Ashram, Hanuman Temple, Sita Temple, Nila Nag, Ganesh Temple and Shiva Temple. Anantnag is an apt tourist destination if you are looking for a rich culture. The best time to visit would be the spring season. Pulwama is also known as “Dudha – Kul of Kashmir” owing to high quantities of milk produced here. It is located at a distance of approximately 25 miles from the surreal city of Srinagar.It is situated at a height of about 1,630 meters. Apart from milk, the main economic resource of this district is the agriculture of saffron, paddy, fodder and oil seeds. Rembiara Nallah crossing Pulwama is a sight to behold. Saffron culture in this area spreads a beauteous orange cover. Almond orchards are often visited by tourists. 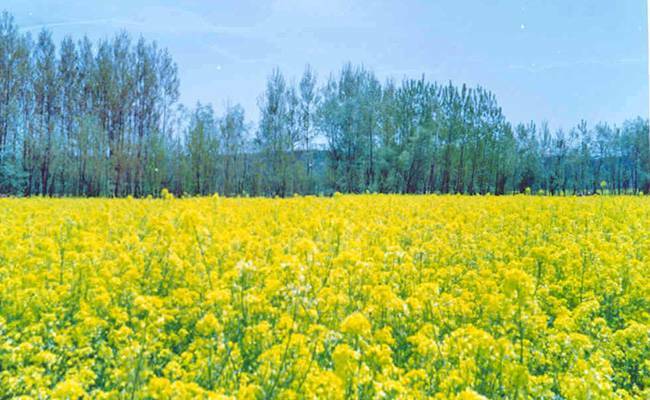 Mustard and cherry blooms will attract all the photography and nature enthusiasts. Heemal Nagrai spring increases the grandeur of this place. For the history buffs, the temple ruins nearby have a lot to offer. A short visit to Pulwama will definitely rejuvenate you and leave you with countless memories. 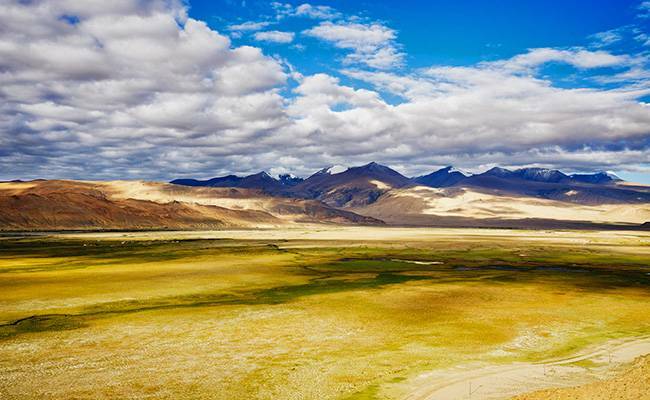 Hemis is located at an approximate distance of 40 km from Ladakh. It is sought after because of two main tourist destinations, Hemis Monastery and Hemis National Park. A Tibetan Buddhist monastery, Hemis Monastery was constructed by King Sengge Namgyal in 1672. The Hemis Festival held every year in June in the honor of Padmasambhava attracts many tourists. Bound by Indus River on one side, Hemis Nationl Park is one of the highest protected areas in India. It is also the largest park in South Asia. 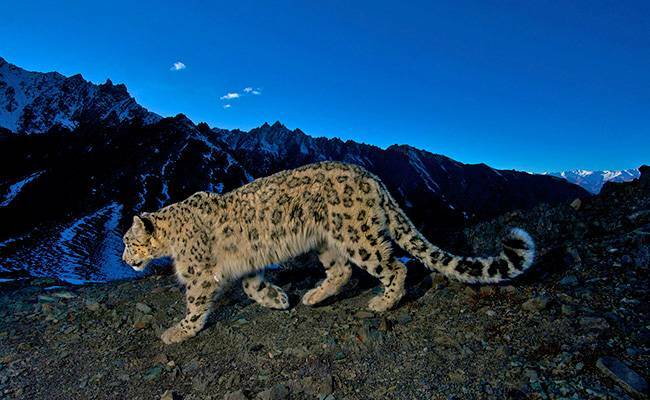 It is one of the very few areas in the world where snow leopards can be seen. Tibetan wolf and the red fox can also be spotted here. Hemis has enough places for accommodation and is a must visit by all the nature and photography buffs. 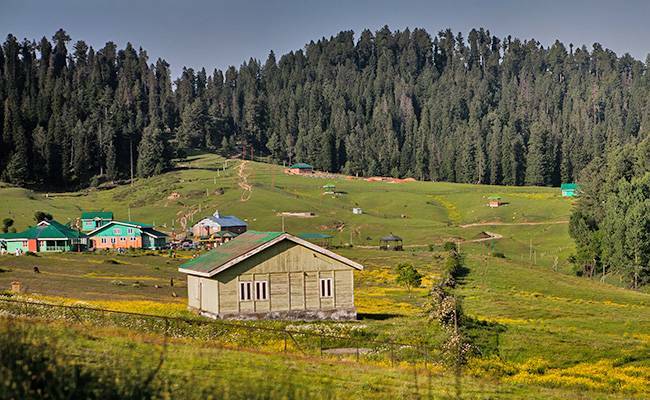 Yusmarg is a serene hill station located at a distance of 47 km from the city of Srinagar. It is believed that Jesus Christ once visited this place. It is located at a height of about 2,400 km. The Tatakooti Peak and the Sunset peak offer a surreal view. Pine meadows are an ideal location for photography sessions and picnic spots. River Doodganga passes through Yusmarg and increases the beauty of this place. Yusmarg has a lot to offer to all the adventure buffs. A trek of 4 km to Nilnag and then a trek of 11 km leads to a lake which is frozen. The site is completely divine. Apart from this, tourists can also enjoy fishing, horse riding and skiing. Many accommodation options are available. Although, being a blissful spot for vacation, it is advisable to not visit in the winters as the roads are often blocked due to heavy snowfall. 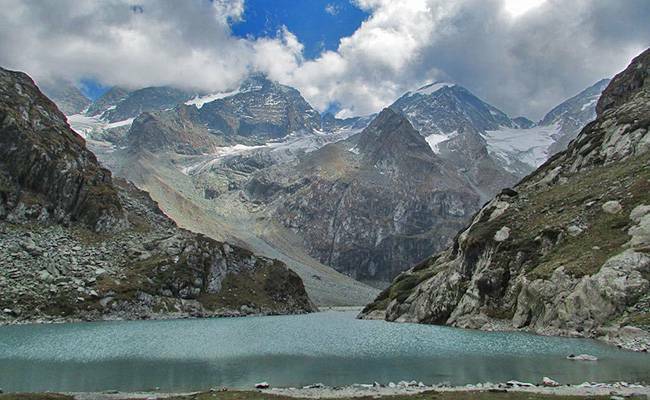 Tulian, a freshwater lake, is located at a distance of 15 km from Pahalgam. It is located at a height of 3,500 km from the mean sea level. Even in summers, many pieces of ice can be spotted. It is surrounded by snow-capped mountains on three sides and pine trees on the fourth. The meadow around this lake is an ideal picnic spot. This lake looks truly divine as it is set in the perfect surrounding of mountains and trees. A short visit to this lake in any month will surely rejuvenate you. This lake remains frozen in the months of November – February but that does not prevent tourists from frequenting this place. Full of heavenly and surreal beauty, Tulian Lake deserves a visit from all the nature and photography buffs. Sinthan Top is a hill station located near Anantnag. It joins Kashmir valley and Jammu province. It is situated at a height of approximately 3,800 m above the mean sea level. It remains covered with snow almost throughout the year. There are no local inhabitants but some shepherds and tourists stay in tents. Being at a distance of 140 km from Srinagar, Sinthan Top is easily accessible. The road journey is in itself a thrilling adventure. When you reach the famous “360 degree view” you can actually see a panoramic view of Kashmir and Jammu. It is never too crowded and will surely refresh you. A serene place away from the hustle bustle of the city, it is a must visit for all the nature and photography enthusiasts. 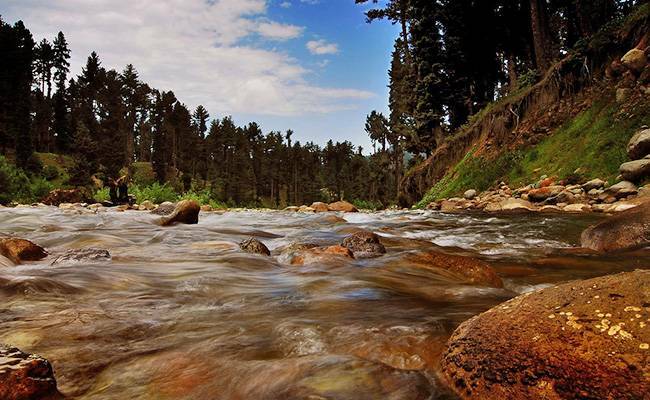 Doodhganga is a tributary of River Jhelum and passes through Yusmarg. Doodh stands for milk. 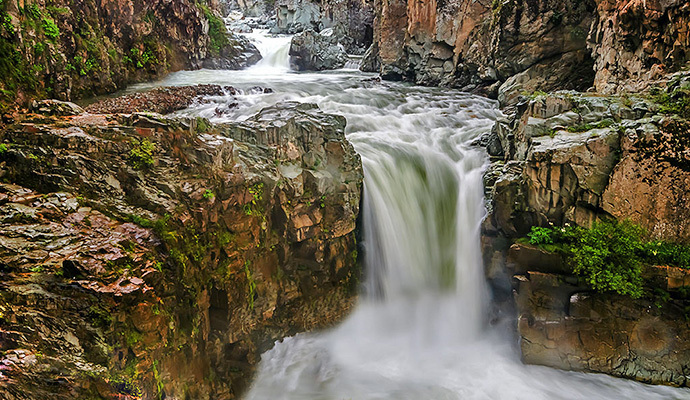 This river appears milky white in colour as it collides with the rocks again and again and hence it got its name. At a small distance is the lake Neel Nag. The scenic beauty of this place is awe inspiring. It is still undisturbed by huge number of tourists and is a good spot for relaxing and clicking photos. The peaks on all sides increase the grandeur of this place. 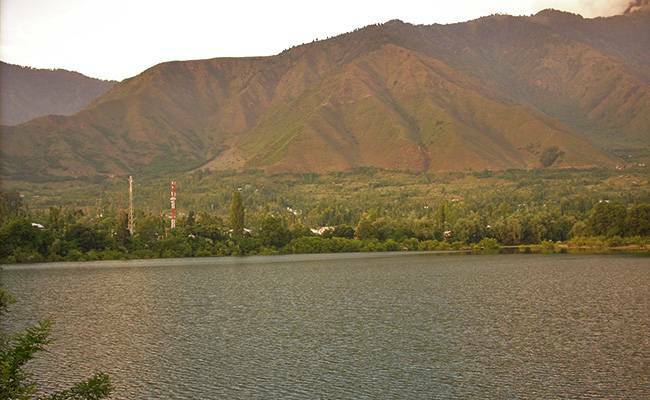 Both these water bodies are easily accessible as they are not more than 55 km away from Srinagar. It is also believed that Jesus Christ passed this place while on a tour of Kashmir. These water-bodies are overloaded with surreal beauty and deserve a visit especially in spring season. 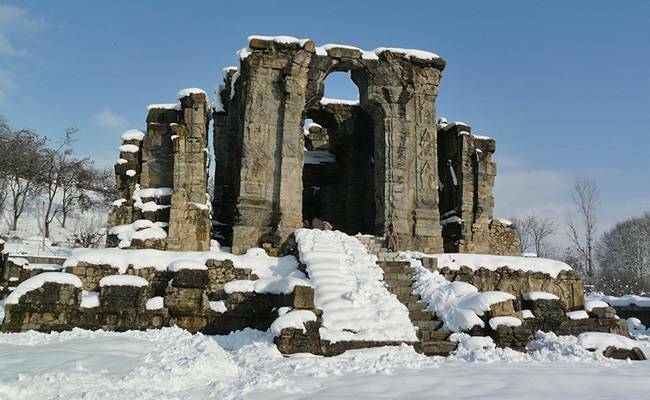 The Martand Sun Temple is located very close to Anantnag. As the name itself suggests it is a Hindu Temple dedicated to The God of Sun. Martand is another name for Him. It was constructed in the 8th century by King of Karkota Dynasty, Lallitaditya Muktapida. The architecture is of Aryan style. However, it was later ruined by Sikandar in around 15th century. In the cetre it has the main shrine and is then surrounded by 84 other shrines. There was also a temple. It is built on a plateau and a panoramic view of the surrounding areas can be seen. The Bollywood film, Haider was shot here. Full of historical importance and scenic beauty this place is a must visit for all the history and photography buffs. Chatpal is located near Anantnag in Jammu and Kashmir. Among all the places mentioned, Chatpal tops the list of being the most offbeat. The white peaks touching the blue sky, the green landscape with crystal clear streams are the characteristics of the beauteous natural beauty of this place. Trekking in this place will truly refresh you and give you many beautiful memories. At sunset, the grandeur of this place reaches a new zenith with orange peaks. 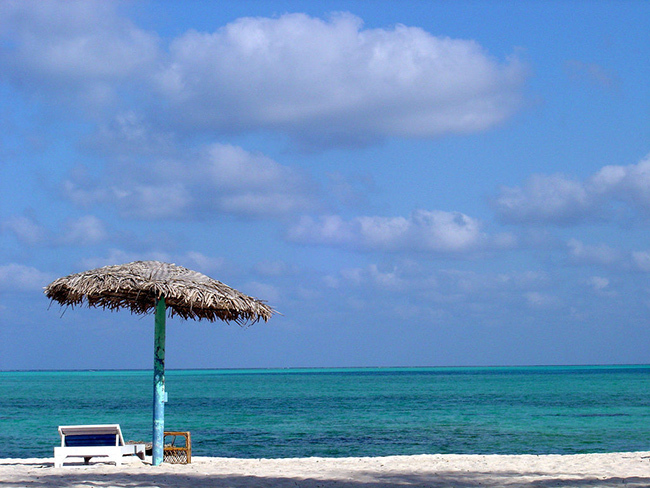 There is a furnished bungalow maintained by the government which is available for accommodation. A stay there is recommended highly. The only problem is that electricity is not available in this area. All around the year, the serene beauty of this place is awe inspiring. It is an ideal place if you are looking for a rejuvenating getaway from the hustle bustle of the city. 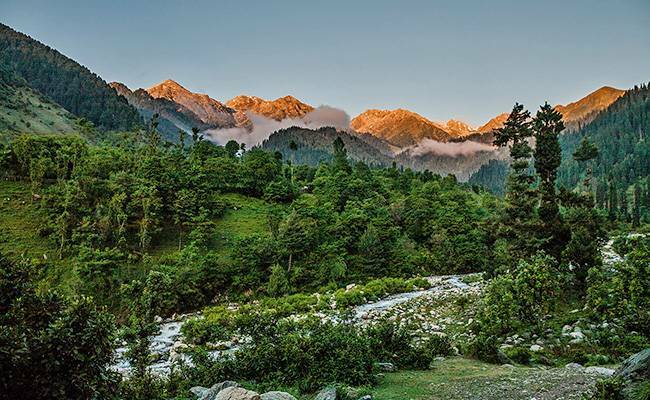 Lolab Valley is located at a distance of 9 km from Kupwara and at a distance of 110 km from Srinagar. This valley is easily accessible by road. It is also known locally as “Wadi – e – Lolab” because it has many lush green rice fields, fruit gardens, springs and crystal clear lakes. In literature, this place has been described as the center of beauty and love. This valley consists of three smaller valleys, Potani, Brunai and Kalaroos. The beautiful meadows increase the beauty of this place. Nearby is the resting place of Kashyap Rishi, which is often visited by tourists. A three feet deep crystal clear spring Lavnag is also nearby which is an ideal picnic spot. Another famous spring in the area is the Gauri Spring. This valley is full of scenic beauty and is a serene getaway. Hanle is a village located in Ladakh. The two important tourist attractions here are the Hanle Monastery and the Indian Astronomical Observatory. Though, a special permission is needed from the Government to visit them because they are very close to the Tibetan and Chinese border. Hanle Monastery was built in the 17th century. The population density is also low. The scenic beauty is divine. It is a nice getaway from the hustle bustle of the city but this place is also dangerous and visiting Hanle can be a risky endeavor. If you are an adventure enthusiast then you must come here and pay a short visit. Dachigam National Park is situated at a distance of about 23 km from Srinagar. This park covers an approximate area of 145 km. The name “Dachigam” translates to 10 villages which is probably to the honor the ten villages which had to be uprooted. It has an uneven area as rocky cliffs and grasslands, both are present in this area. 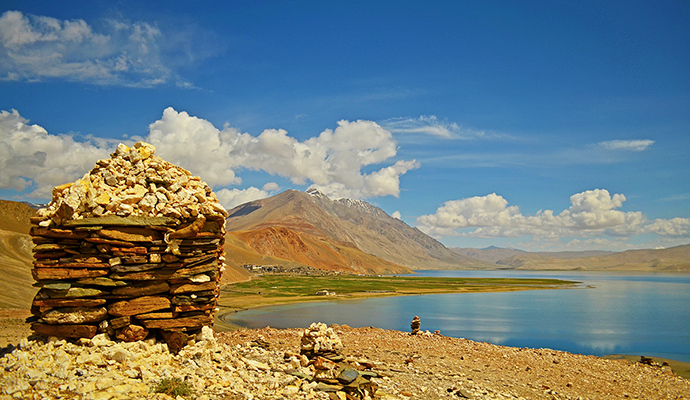 Marsar lake increases the scenic beauty of the place. This park is characterized by coniferous trees. Himalayan Serow, Himalayan black bear, Himalayan weasel, musk deer, marmot are some of the animals you will easily spot here. This park is also known for Cinnamon sparrow, golden oriole and Redstart birds. June to September is the ideal time to visit this park because in winters, this place sometimes cannot be easily accessed. This list is not exhaustive as Jammu and Kashmir has a lot to offer for every interest, be it cultural or natural. It is truly heaven on heart and even if you are not able to visit all the places, a short visit to at least some of these places is a must or you will always regret the missed opportunity.